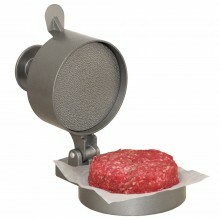 Helps ensure that patties will not fall apart on the grill! Make perfect patties … every time! Click the button below to add the Burger EXPress with Patty Ejector to your wish list.